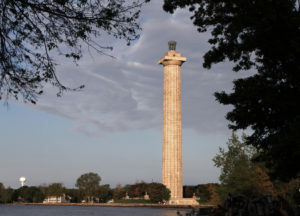 Perry’s Victory and International Peace Memorial is a 52-foot Doric column built in 1915 to honor those who fought in the Battle of Lake Erie, during the War of 1812, and to celebrate the long-lasting peace among Great Britain, Canada and the United States. Cost for the monument is $7 for adults and free for children 15 and younger. Perry’s Victory and International Peace Memorial is open daily 10 a.m.-6 p.m. May 19- Sept. 30. In October, it is open weekends 10 a.m.-5 p.m.